Age: Tyson is Fifteen Years Old. Species: Tyson is a Shape-Shifter. Power: Tyson has the Ability to Control Leaves, Vines, Grass, and all other plants/herbs. He can also teleport anywhere by whipping up a Leaf Storm. Appearance: Tyson has long, black hair, a piercing, and a tattoo of a Bleeding Rose running down the length of his side. He also has two scars; One located on his lower back and the other on his chest. Personality: Tyson is a very shy and quiet. He doesn't like interacting much with others, but spends a lot of time in town. He is also slightly Suicidal. Tyson, if you get to know him, is very Sociable and Open. But only to his true friends. One more thing about Tyson is that he is a very committed person, to his School, Work and Relationships. Preference: Tyson prefers Guys more than Girls. He will occasionally date a girl, but not to often. History: Tyson was born May 14th, 1995 in New York, New York. When he was only Two Years Old, his mom went crazy and cut open his lower back and chest, which explains the Scars on his body today. He never had a mom after that, only lived with his dad and older brother. By the age of Six he had discovered what he was: A Shape-Shifter. He controlled this "Gift" to the best of his abilities. Only once did he slip and almost get caught in Public. He has never again made that slip. When he was Ten years Old, his dad had moved them to Los Angeles, California. This is where Tyson has spent the last couple years of his life. When he was Thirteen he was arrested for Under Age Drinking and Vandalism. He has been on Probation and spend a little bit of time in Rehab after. He was let out two months before his Fifteenth Birthday. When he turned Fifteen, he was arrested for Violation of his Probation. He spent a couple months in Juvey, and was let out three months after his Birthday. Age: Serabella is Seventeen Years of Age. Species: Serabella is an Angel. Power: Serabella has the Ability to Control Light and Darkness. She can also control Anger, Hatred, Jealousy, and Lust in other people. Appearance: Serabella has long flowing blonde hair and a slight tan. She is 5 Feet Tall and Weighs 112 Pounds. She has a Tattoo of a broken heart on her neck. She has her belly button pierced, and her ears. She has beautiful hazel eyes, perfect pink lips, and a beautifully stunning smile. Her usual attire consists of short skirts, spaghetti straps, flip flops and sunglasses. She has a very soft, near angelic voice and her laugh sounds like that of wind chimes in a slight breeze. Her nails are always painted bright, vibrant colors, much like any neon color. About Serabella: Serabella is very open with people. As a little girl Serabella always walked up to kids at school and sparked conversations and even if they didn't like her she tried. She often got in trouble by her mother for talking to strangers on the streets. 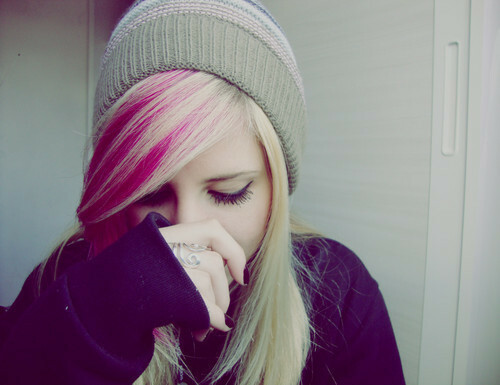 She hated, and still hates, when someone is very shy and quiet. She has a reputation for breaking peoples shells, and she lives up to it. She once knew a boy, when she was just turning thirteen. She wanted so bad to be this boys friend, because there was something different about him. She spent three days, literally, always talking to this boy who was very very shy. By the end of that week, she was his best friend. Serabella hates to lose. She isn't a sore loser, she just hates it. If you ever see Serabella lose, you will find her practicing nonstop until she knows shes good enough to win. This has made her the best softball player not only her school, but London has ever seen. Same with tennis. She will practice day and night until she reaches her full potential, and she goes beyond that. With her never-die, never-give-up attitude, Serabella hardly ever losses anymore. Serabella is a musician, as she can play five different instruments. Her most favorite, and the one she's best at, is the Piano. She has been playing since she was three, and has won first place in three different competitions. Her second favorite instrument is the guitar. She only plays acoustic, though, as she says 'It has a more calm and soothing tone than an electric.' She has been playing since she was four, and can look at sheet music and play instantly what she reads. She has one first in one competition, and won second in a different competition. The three others she plays, that she hasn't competed in, are the violin, saxophone, and the flute. She has been playing all three since she was ten, and is least experienced with them. Serabella is a natural cook. She loves being in the kitchen and just whipping up something creative. She is far more talented in pastries and desserts, but she does make entrees every once in a while. She has been studying cooking and culinary arts since she was eleven, and has made award winning desserts since she was thirteen. The first award winning dessert she made was her famous key lime pie. It stood out from the other dishes, which surprised not only her, but the judges as well, since it was such an easy dish. She entered the same recipe in a different competition and won yet again. She stopped entering it in competitions, and tried new dishes. All in total, she has won thirty seven different first place awards and has some recipes published in a few cook books. She guest starred once on a famous British cooking show. Serabella is a great, outstanding student. Ever since she began school, she has dedicated herself to studying and excelling to be the best. She has always received straight A's, and has never once gotten anything below an A. She also does many school activities and does a lot of community service. As a Senior in school now, she has received a few different scholarships to many prestigious colleges. Preference: Serabella prefers Guys and Guys only. She will be friends with Girls, but she won't go into dating them. History: Serabella Ann Young. Born in London, England to Mary and Nigel Young, she is the eldest of four children. As a young girl, all Serabella wanted to do was live a long and prosperous life. Her dream was cut short at the age of three, when her parents got a divorce. The divorce put a great strain on Serabella and her twin brother, whom was taken by her father in the custody rights, and she lost one of her sisters as well. Serabella struggled to make since of why her parents split. She blamed herself for it, saying if she was never born they'd be happy and still together. She thought this for years until her mother told her the ugly truth of why they had split. After a while, Serabella adjusted, but it wasn't until she was about eight, five years later. Her mother had stayed strong through the entire divorce, and had continued to stay strong. Serabella never understood why, but she didn't question it. One day, when Serabella was Fourteen at home watching her sister, an unfamiliar yet familiar face showed up at the door. Serabella, awestruck, couldn't believe what they boy was saying. 'Sera, it's me, Valient.' Serabella couldn't say a word, all she could do was stand there looking like a fool. After a few moments, she hugged her twin for the longest time, crying tears of happiness. It had been eleven years since the twins had seen each other, and unfortunately, it would be their last. After the twins had their small reunion, he announced that their father was moving to Italy, and that they would be too busy to visit. Crushed, Serabella ran to her room and locked herself inside. Her brother left, and that was the last time she saw him. At the age of Sixteen, her mother announced that they would be moving to Sydney, Australia. They lived there for about six months, then they moved to New York, where they currently reside. But a tragic turn of events occurred. Serabella was out walking out at night one day, doing some late night shopping. She was in a cross walk, and out of nowhere, a truck comes speeding and hits her head on. She passed away in the ambulance on the way to the hospital. Before a proper burial could occur, she came back, but not the same. Although she was an angel at heart, she came back as a fallen angel, and she lives on in her new life. It was hard at first, but she manages. Most fallen angels are terrible people who cause hell and trouble, but Serabella is the opposite. She doesn't know why she became a fallen angel, but she goes with it and has been able to somehow blow off the evil that comes with being a fallen angel. As of a few weeks ago, a change happened to Serabella, and she became an angel. She doesn't know why, but she assumes its because of her good heart and compassion.